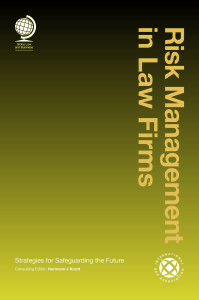 Frank Maher and Sue Mawdsley have contributed to the International Bar Association book on Risk Management in Law Firms. This book aims to help law firm leaders and managers to understand the scope and utility of risk management generally, and to guide them in implementing and maintaining adequate risk management policies, procedures and systems. The book also gives in-house counsel and risk officers a better understanding of the needs of their outside attorneys, thereby improving the partnering between lawyers and their clients. You can view a sample of the Conflicts chapter here: http://www.globelawandbusiness.com/RML/sample.pdf. 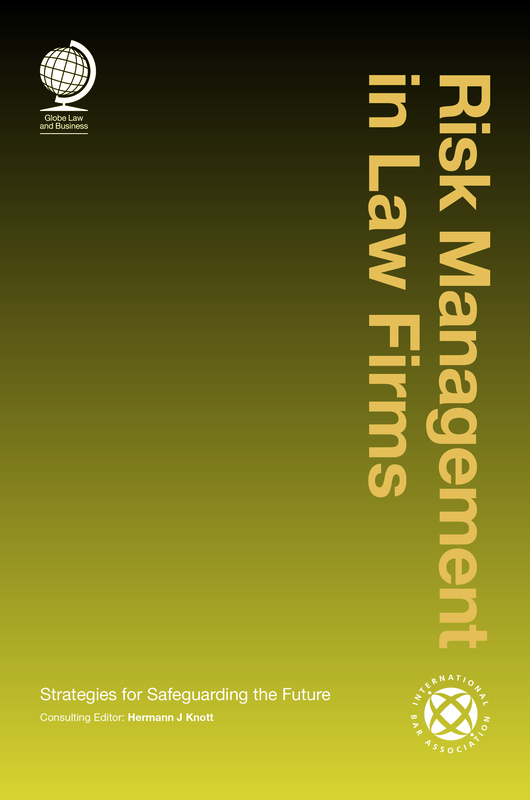 Frank was the lead author on this chapter, along with Confidentiality and Managing the Client Engagement, and also contributed to Client Risk, Financial and Risk Management and on Non-lawyer ownership.